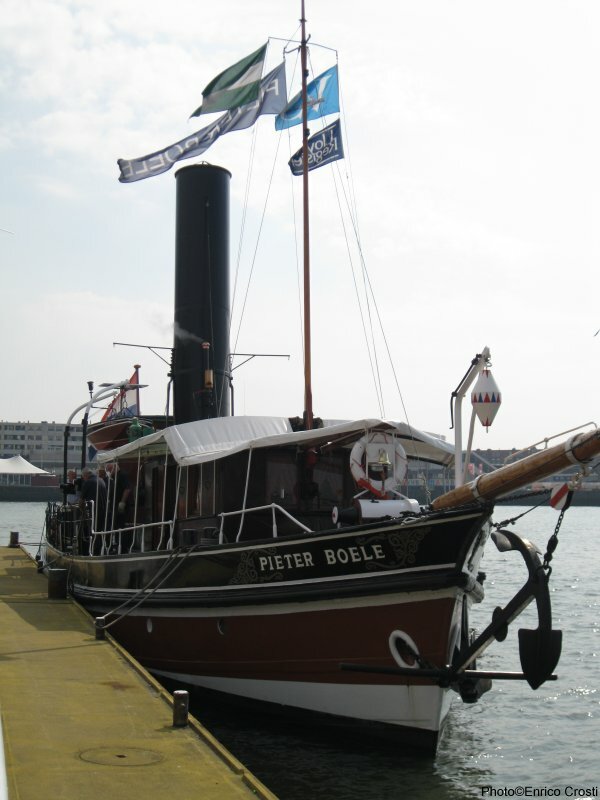 Steam tug Pieter Boele moored. 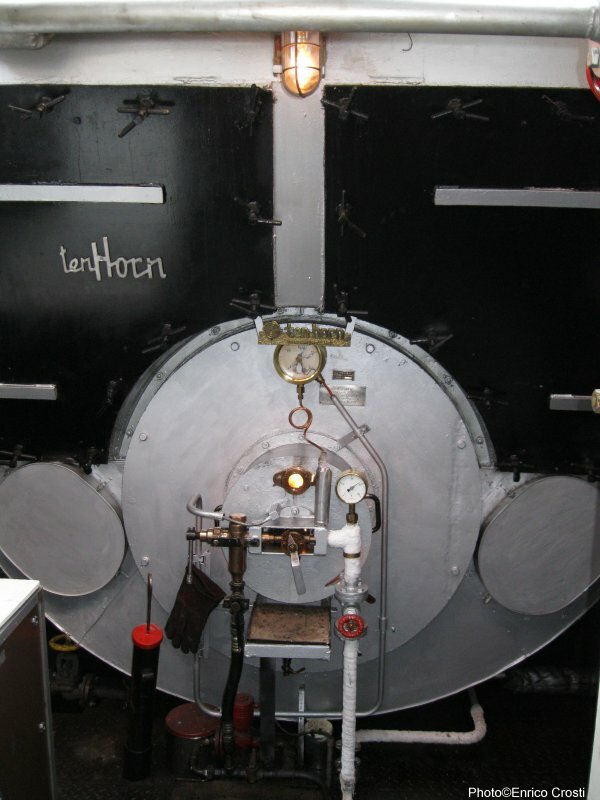 Steamship Pieter Boele boiler with steam atomizing burner. 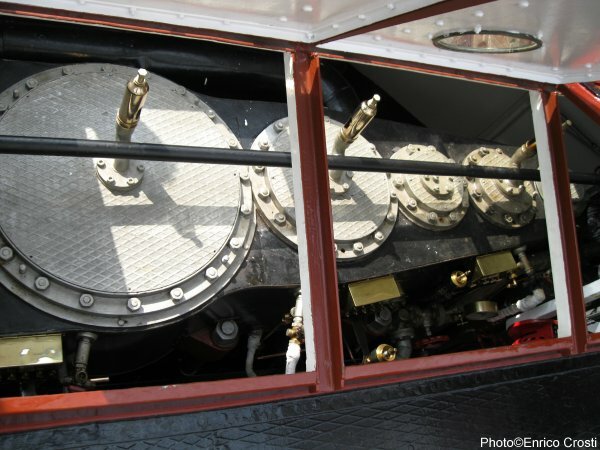 Steamship Pieter Boele engine top. 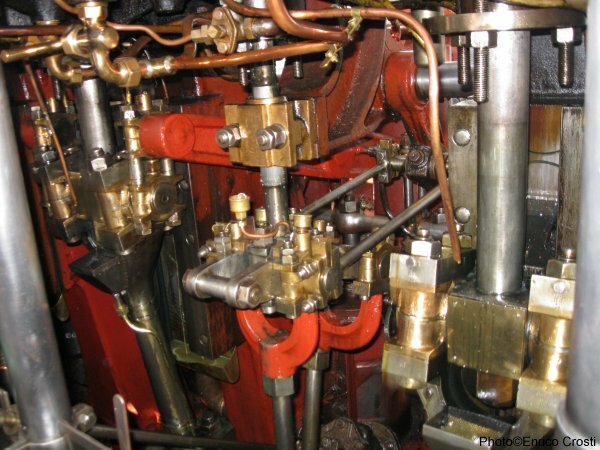 Note the safety valves on each cylinder. 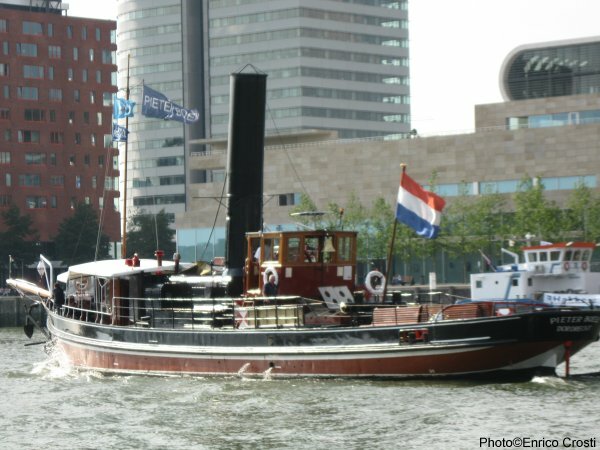 Steam tug Pieter Boele engine. Note one of the quadrants and two crossheads.